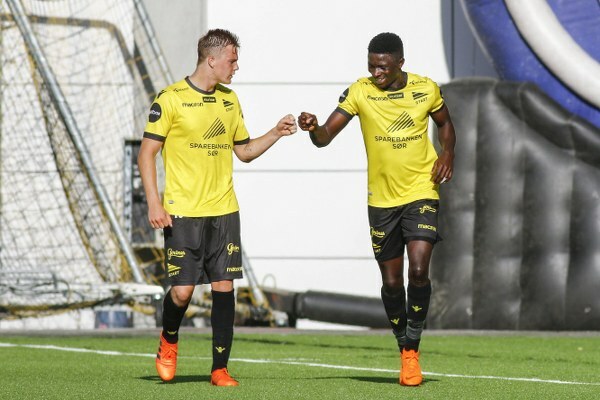 IK Start of Norway midfielder, Afeez Aremu has stated delight with the effort he gave in helping his side get 3-0 win against Lillestrom SK, footballlive.ng can report. The former Akwa United of Uyo dazzler paved the way for his side’s victory with an assist to fellow-Nigerian youngster, Adeleke Akinyemi to open scoring for IK Start on Sunday. 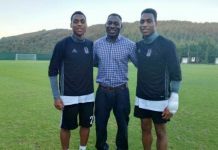 Beyond the victory against Lillestrom, who featured another Nigerian, Ifeanyi Matthew, while Raphael Ayangwa was an unused sub, Aremu said he is happy that the result took their club out of relegation zone. Start, who are back in the Norwegian top flight after several years in the lower division, are now 14th on the 16-team table to occupy the relegation playoff spot. On the other hand, Lillestrom fell into an automatic relegation spot, such that Aremu is aware of the odds against his side and the need for them to keep battling till the very last match of the season. “It was a sweet victory because it has taken us out of relegation zone. We needed to win convincingly because goals’ difference could separate teams from relegation,” Aremu said.